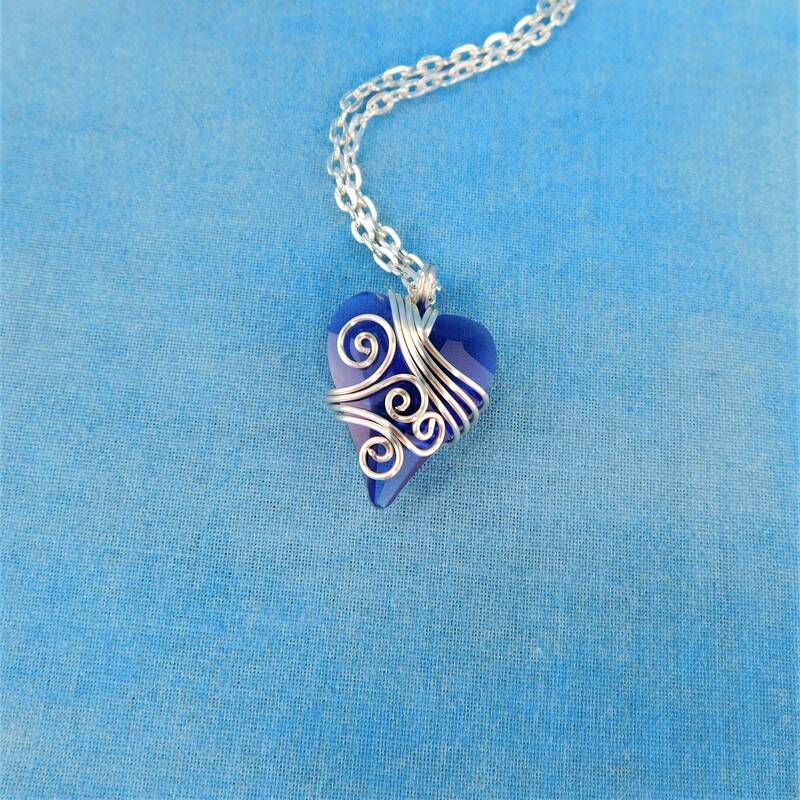 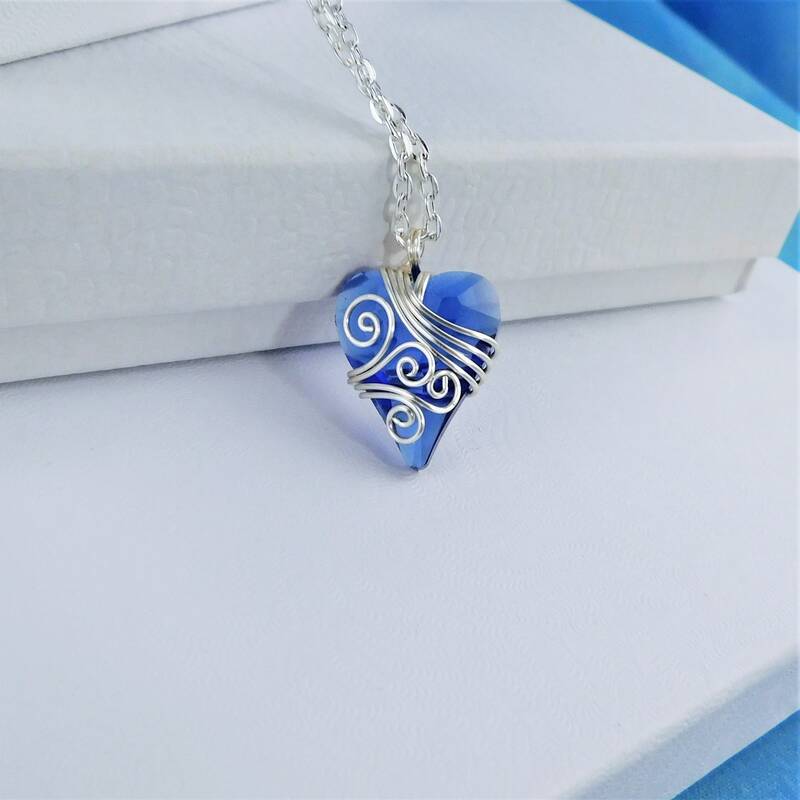 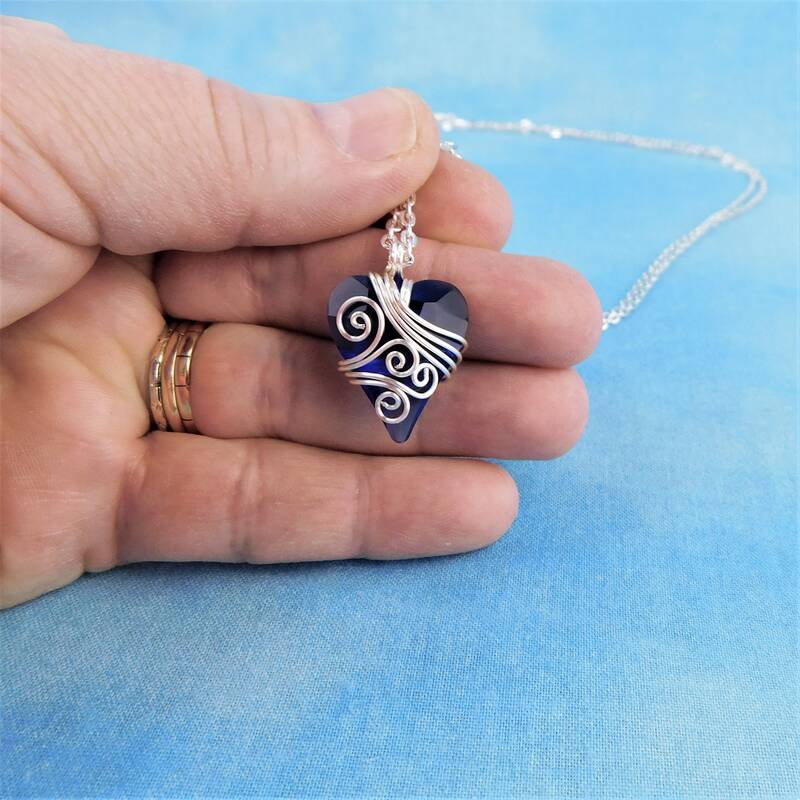 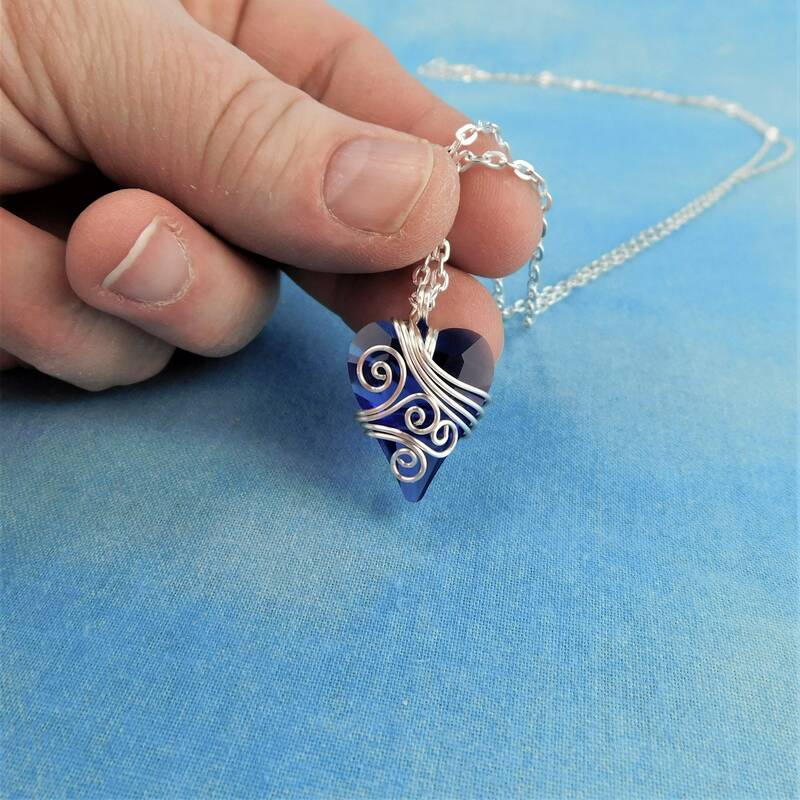 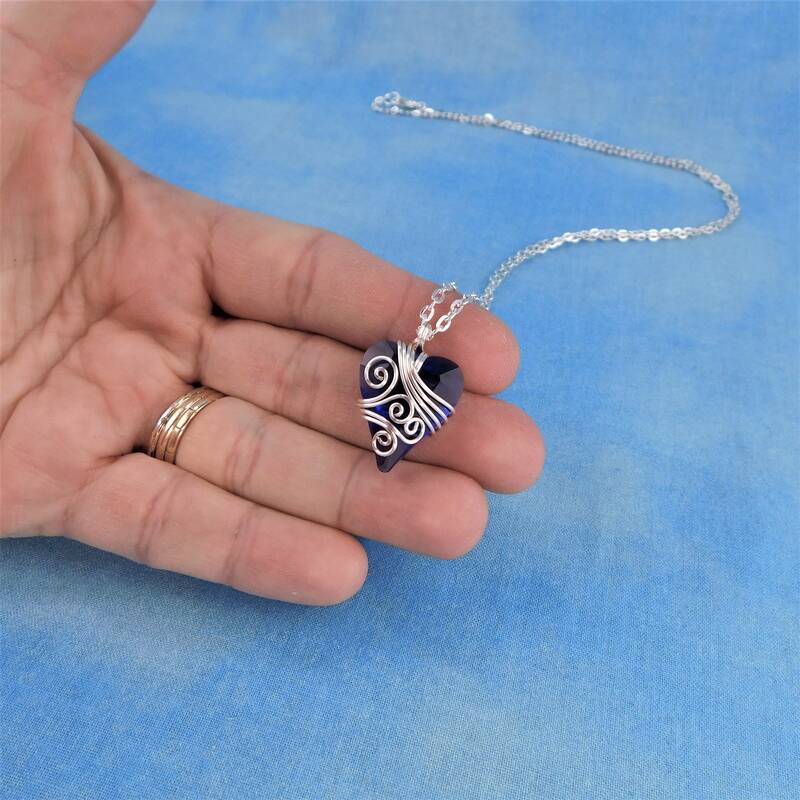 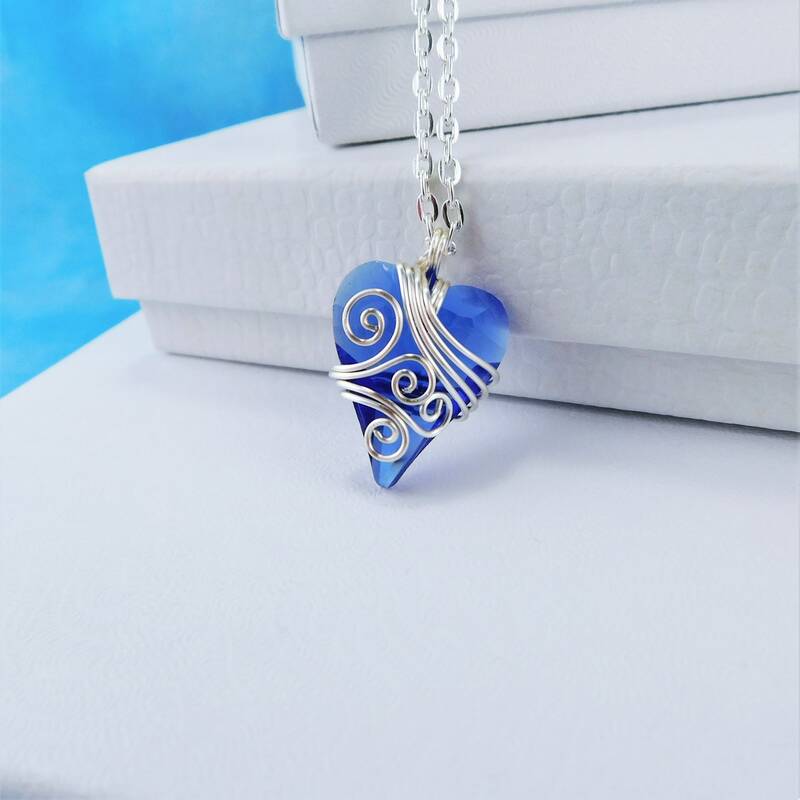 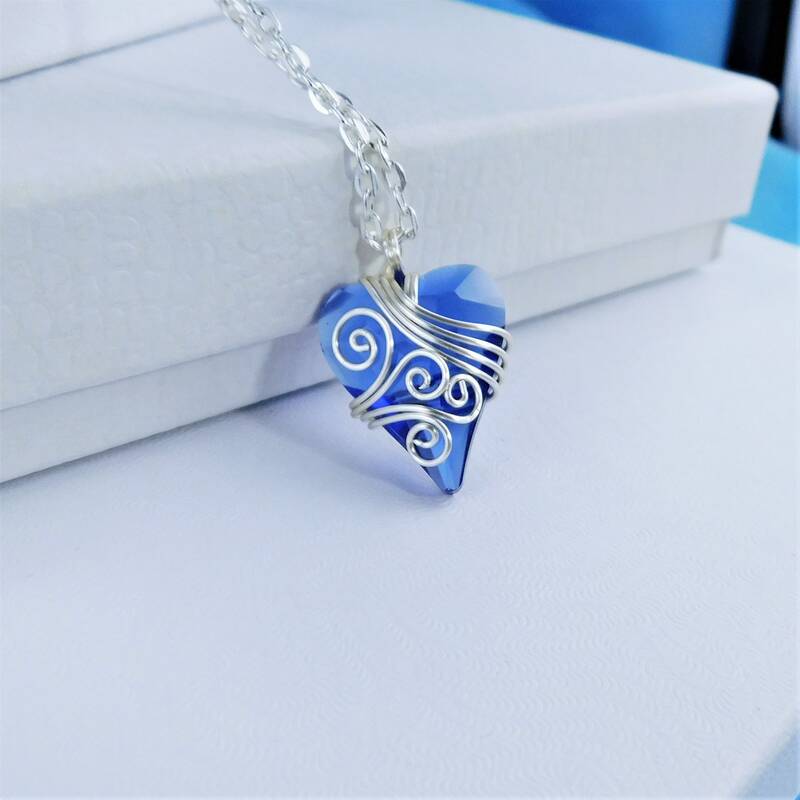 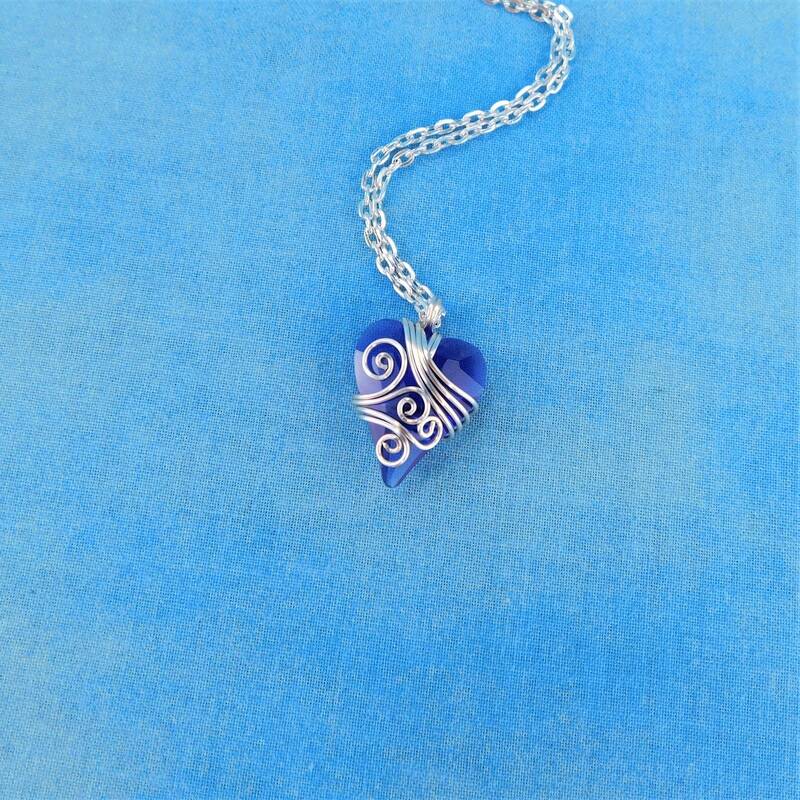 A 1 inch by 3/4 inch Swarovski crystal heart is artistically wire wrapped with non tarnish fine silver over copper wire, creating a uniquely beautiful accent piece. 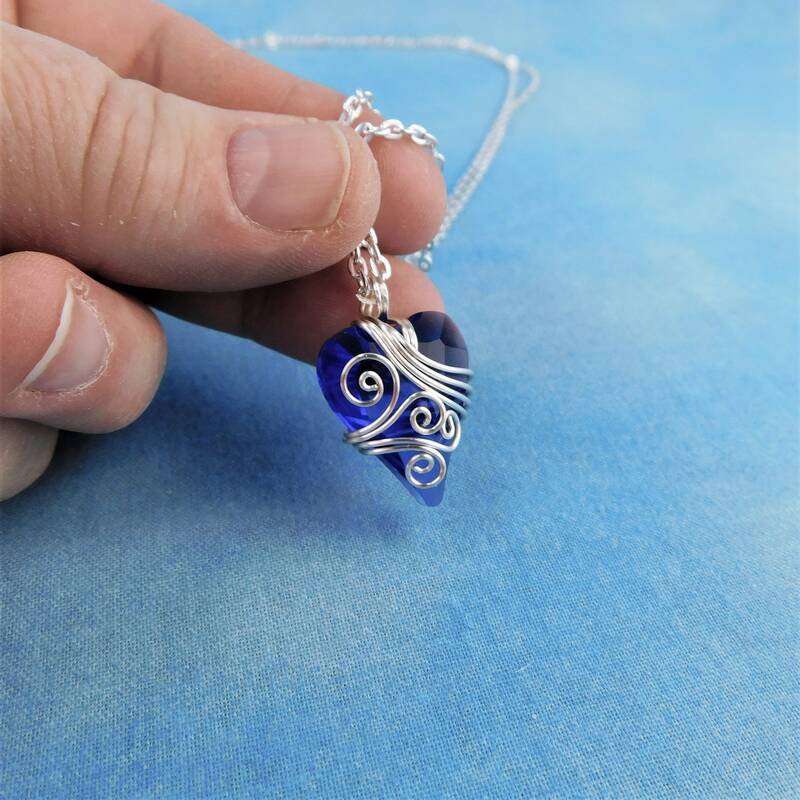 The deep sapphire blue color of the crystal, peeks through the silver strands of wire embellishment making this a truly one of a kind pendant. 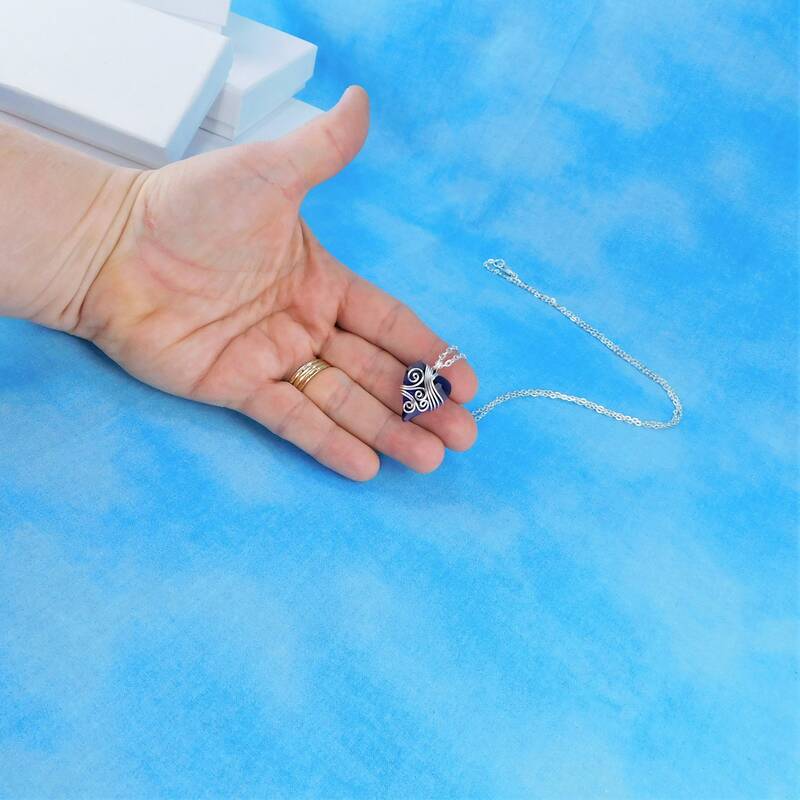 This beautiful pendant comes with a FREE coordinating chain with lobster claw clasp, measured to your preferred length.